- Time: 6h30-10:00 all days of the week. - Apply for use of the next service at the branch 228 Nguyen Van cu. - Cannot apply to take away, delivery. - Cannot split or combine the bill(s) in any form. - 1 voucher applies to 1 payment. 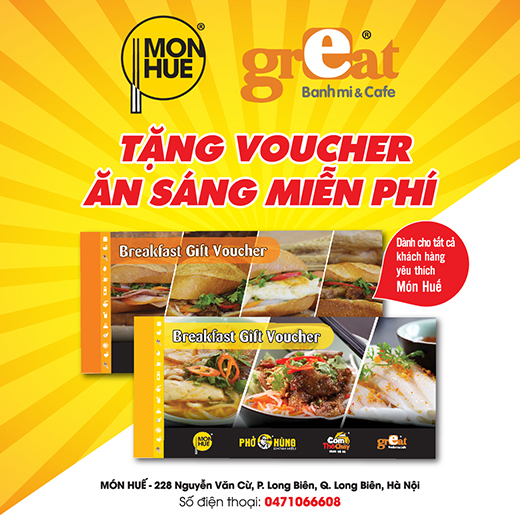 Mon Hue is honored to be serve you!